As the Chilcot Inquiry report is released to the public, those MPs attempting to depose Labour leader Jeremy Corbyn—their leading lights inescapably sullied by having supported the war—are suing for peace. 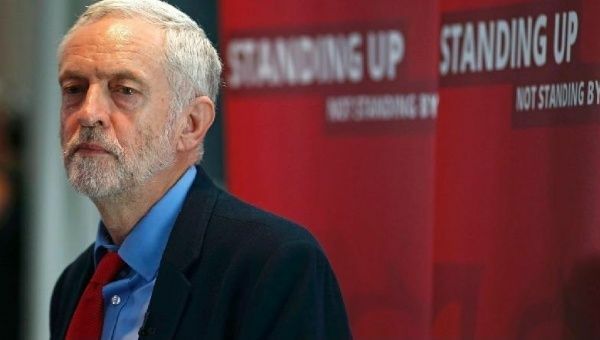 Over a week of high-profile resignations, statements, demands, pleas and threats have seemingly done little but consolidate Corbyn’s position. In record time, it has gone from being a coup to a #chickencoup to a #headlesschickencoup. This could be the biggest own-goal in the history of British politics. Journalists steeped in the common sense of Westminster, assumed that it was all over for Labour’s first ever radical socialist leadership. How can he lead, they reasoned, if his parliamentary allies won’t work with him? This, in realpolitik terms, merely encoded the congealed entitlement and lordly presumption of Labour’s traditional ruling caste. Even some of Corbyn’s bien-pensant supporters went along with this view. They should have known better. The putschists’ plan, such as it was, was to orchestrate such media saturation of criticism and condemnation aimed at Corbyn, to create such havoc within the Labour Party, that he would feel compelled to resign. The tactical side of it was executed to smooth perfection, by people who are well-versed in the manipulation of the spectacle. And yet, in the event that Corbyn was not wowed by the media spectacle, not intimidated by ranks of grandees laying into him, and happy to appeal over the heads of party elites to the grassroots, their strategy disintegrated. This was not politics as they knew it. The befuddlement was not for want of preparation. From even before his election as Labour Party leader, there were briefings to the press that a coup would be mounted soon after his election. And in the weeks leading up to the European Union referendum, Labour Party activists reported that they were expecting a coup to be launched after the outcome was announced, regardless of what the result was. This seemed like a half-baked idea—there was still no overwhelming crisis justifying a coup attempt—and so it turned out to be. Undoubtedly, part of the rationale for hastening the attempted overthrow was the looming publication of the findings of the Chilcot Inquiry, which was expected to be harshly critical of former Prime Minister Tony Blair, of the justification for the invasion of Iraq, and of the relationship with the Bush administration. Given the role of the Parliamentary Labour Party in leading Britain into that war, against fierce public and international opposition, and given its role in supporting the subsequent occupation, this was a bad moment to have Corbyn at the helm. In the event, Corbyn survived to make a dignified statement apologizing for Labour’s role in the disaster and promising to embark upon a different foreign policy—one quite at odds with that supported by the pro-Trident, pro-bombing backbenchers. As the grim analysis of Chilcot spooled out into the public domain, backbench Labour MPs stood by their fallen leader. Ian Austin, a Blairite MP from Dudley, heckled during Corbyn’s speech to exhort him to “sit down and shut up”. As for others, “good faith” was the cri de coeur: Mr. Blair never acted in anything but the best of faith. Indeed, no one ever does. Blair, for his part, criticised what he described as an “addiction” to believing the worst about everyone. Here, indeed, is a man who has been able to see the good not only in President Bush, but also in Mubarak, Putin, Nazarbayev, even Qadhafi for a while. Under other conditions, Saddam Hussein would undoubtedly have been “a force for stability.” This is the problem with “good faith”: it can justify any contortions of morality or logic, and any body count. But there is little doubt that Blair emerges hugely damaged from the Inquiry which, in stressing that the invasion of Iraq was a war of choice, opens the possibility for a war crimes prosecution. And by the same reasoning, all of those MPs who supported the war, or voted to prevent the Inquiry from taking place, are discredited. To understand how the coup failed so badly, finally screeching to a halt under the shadow of Chilcot, is to understand something about the crisis of politics. The puzzle, when Corbyn was first elected leader, was how could it possibly be that Labour would choose a hard left leadership for the first time in its history, at a time when the British Left was historically weak? On every count, the Left was doing badly. It had been eviscerated during the Thatcher years, losing in numbers and organisation, its publications folding, and had entered a dismal diminuendo thereafter. The organized labor movement, the bulwark of the Left’s hopes, was in a similar bad way, as union density and strike rates had declined year-on-year. However, the decline of the Left’s fortunes and the rampant success of the neoliberal centre was also concurrent with a growing crisis of representative democracy, as more and more of the state’s functions were taken out of democratic control and handed over to Quangos, businesses, and unelected bodies. Millions of people, no longer seeing much real choice on offer, began to boycott the electoral system. Party elites retreated into the state and into the manipulation of news cycles, having less and less to do with mass politics. 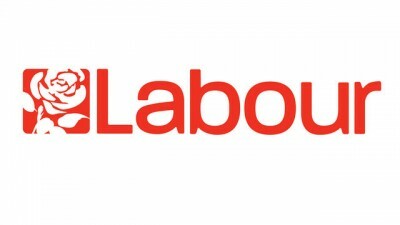 In the context of the Labour Party, the result of this was that a generation of political leaders emerged who were experienced as special advisers, think-tankers, policy wonks and spin doctors, but had little real understanding of how to motivate activists and communicate with the broad public. In government, they were all too often advocates of state policy against their own popular base—tendency peaking with the Iraq war. And after years of having been embedded in the failed New Labour experiment, they were badly discredited among Labour members and among young people radicalizing in response to post-credit crunch austerity. Corbyn emerged in 2015 as the only leadership candidate who still understood how Labour politics was done, while also having a sense of how to fuse these methods with social media communications. And so it has proved again. The coup plotters knew all about how to manipulate old media, but they were at a loss when Corbyn stood firm, ignited his base, and thousands hit the streets in his defense, from London to Hull. What a strange time in British politics. The outcome of the attempted overthrow of Jeremy Corbyn is thus a hugely improbable and unexpected strengthening of the Left. Since the EU referendum result, 200,000 people have joined the Labour Party, the great majority of them supporting Jeremy Corbyn. Total membership is now approximately 600,000. The shadow Cabinet has become more left wing, more multiracial, and more female. Corbyn’s own standing, having withstood the extraordinary barrage of attacks and even some friendly fire, has emerged greatly strengthened. The coup plotters, weak and disorganized by their own miscalculations, disgraced by their links to and affinity with a discredited past, are an undignified mess.